We are a team of Responsive Website Development, who provide solutions keeping in mind all the essential parameters. Based in Ghaziabad (Uttar Pradesh, India), we are involved in developing responsive websites that have the capability to automatically respond to the user's preferences. In this scenario, responsive websites are vital as they reduce the need for a different design and development phase for any new gadget in the market. Design and development should be according to the user's behavior and environment based on screen size, platform, and orientation. The user can be using their laptop, ipad or smartphone. The website should have the capability to automatically respond to the user's preferences. Responsive websites are important as they eliminate the need for a different design and development phase for any new gadget in the market. 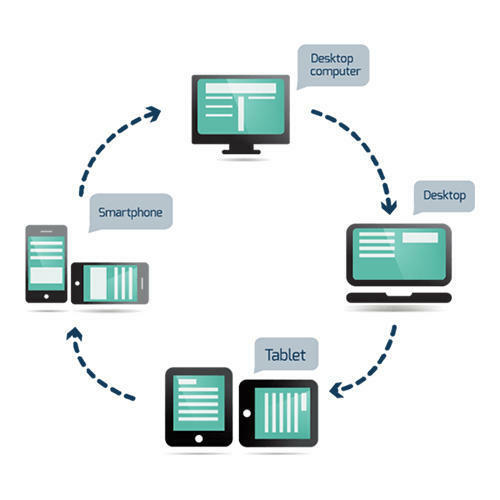 What changes to expect from a responsive website on mobile device scenarios? The sidebar disappears, navigation goes to the top, and text is enlarged for easy and simple vertical reading. The logo is modified for a more vertical orientation, with the tagline below the main icon. The featured issue on the right is cut out, and the content below is shortened and rearranged in layout, leaving only the essential information. The font size changes with the screen and browser width; as the browser gets narrower, the font size throughout gets smaller and remains proportional. The navigation simplifies to just a drop-down menu, great for saving space without sacrificing critical navigation links. The columns first collapse into two and then into one. Likewise, the horizontal lines for breakpoints also change in width, without changing the size or style of each line's title text. The sidebars with excess content are the first to fall off when the screen or browser gets too narrow. Our products are school management software,hotel management software,hospital management software,inventory management software, lead management software , cab booking application, medicines business management applications , food delivery applications our services are customised software development , customised erp, customised mobile applications , android and ios applications , e commerce websites development. We, "Conceptual Technologies" develop mobile applications, customised softwares, erps, school management software , hospital management software , Since our starting, we are offering highly effective Application, software Development These presented services are executed by our experienced and talented team members using only new technology. Together with this, these offered services are extremely popular among clients for their time schedules, clear dealing, easily installed application, low complexity, client-centric approach, and perfect work. The world is changing at a fast pace which in turn is creating a huge demand for better technology solutions. The deep knowledge of our professionals is the backbone of our company. Owing to our customer-centric approach, reasonable cost and industry quality values, we have a strong relationship with our patrons. At our company, we try every possible effort in order to complete the requirements of customers.